WE CAN HELP YOUR COMPANY TO SAVE MONEY AND TAKE ADVANTAGE OF THE TAX CREDITS THAT ARE ELIGIBLE TO YOU. Our online employee onboarding system has built-in Work Opportunity Tax Credit (WOTC) Processing capabilities to help you take advantage of these great credits in an efficient manner. The DOL offers tax credits for hiring certain individuals. If you are not taking advantage of this today, you are leaving money on the table! 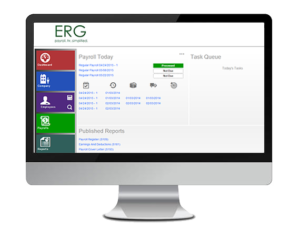 You can partner with ERG to make your process more efficient or start taking advantage of these credits with no risk. Your new hires fill out the online form as part of the onboarding process and we handle the back-end processing. WHO CAN YOU HIRE THAT IS ELIGIBLE FOR A WORK OPPORTUNITY TAX CREDIT? Employers generally can earn a tax credit equal to 25% or 40% of a new employee’s first-year wages, up to the maximum for the target group to which the employee belongs. Employers will earn 25% if the employee works at least 120 hours and 40% if the employee works at least 400 hours. Use the WOTC Calculator to see how much your business can earn in tax credits. The maximum tax credit amounts depend on the new employee’s target group and the number of hours worked during the first year of employment. Click here for the maximum tax credits associated with each WOTC target group.